OBERTO are very pleased to offer a three year full-time PhD scholarship to a new student commencing in January 2015. The successful applicant will receive an annual bursary of £7,000 for three years (with no inflation increase), and fees will be paid by the University. The candidate will need to demonstrate that in addition to the scholarship other funding is available for them to successfully complete the programme in full-time study. The successful candidate will work within the School of Arts under the supervision of Dr Barbara Eichner. This project will investigate the manifold ways in which religion, spirituality and ‘the Church’ were represented on the nineteenth-century (operatic) stage. The ‘long’ nineteenth century is often characterised as an era of secularism, rationalism and materialism. 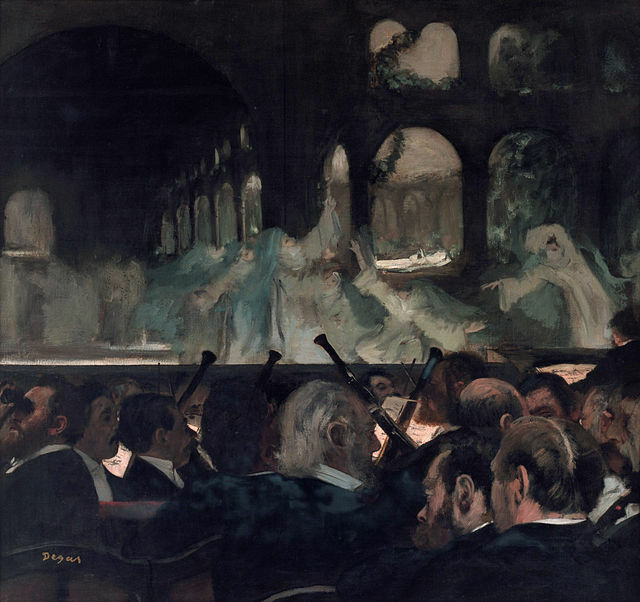 Despite this – or perhaps as a counter-reaction to it – religion, rituals and mysticism continued to fascinate composers, librettists and singers. The nineteenth-century stage offers particularly rich pickings in this area, from the use of chorales as musical markers of historical distance to the salacious nuns’ ballet in Giacomo Meyerbeer’s Robert le diable. The scope of the project is not limited to a particular national ‘school’ or geographic area; it will build on the prior knowledge and interests of the recipient of the scholarship. However, a comparative approach is strongly encouraged, and at least one of the major traditions (Italian, German, or French) should be included. The recipient of the scholarship will be part of the thriving research culture of OBERTO. All our staff and PhD students are working on topics that concern opera’s relationship to broader cultural debates and questions of identity during the long nineteenth century. The recipient of the scholarship would be encouraged to take a pro-active role within the research unit, and to communicate their research findings to wider audiences. Further information about the OBERTO research unit can be found at www.obertobrookes.com. For information about the prospective supervisor, Dr Barbara Eichner, consult her profile on http://oxfordbrookes.academia.edu/BarbaraEichner. Informal inquiries to barbara.eichner@brookes.ac.uk are welcome. If you would like to apply you should request an application pack from Ms Zane Kalnina tdestudentships@brookes.ac.uk, quoting ‘Religion in Opera’ in the subject line. Fully completed applications must be sent to the same email address by 31 October 2014. As part of the application you should submit a CV, a research proposal (maximum 3 pages), together with a supporting statement summarising your reasons for undertaking this project, preparation undertaken for your project, as well as a summary of your previous research experience. Please be advised that the selection process may involve an interview on 13 November 2014, and the successful candidate would be expected to commence in the research degree programme in January 2015. By obertobrookes in Uncategorized on October 15, 2014 .